Number of Cases pending for more than 10 years up to 19.02.2016. The details of cases disposed of during 2012, 2013 and 2014 by the High Courts and District / Subordinate Courts are given in the Statements at Annexure – I and Annexure – II respectively. 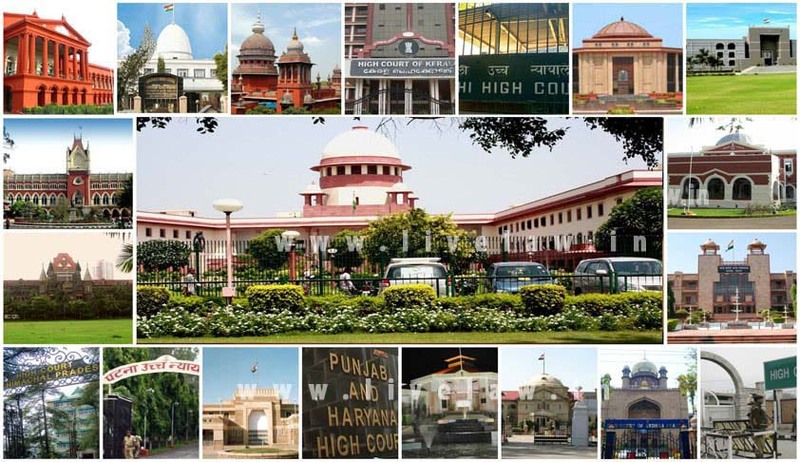 Some of the main factors responsible for pendency of cases in courts are increasing number of state and central legislations, accumulation of first appeals, continuation of ordinary civil jurisdiction in some of the High Courts, vacancies of Judges, appeals against orders of quasi-judicial forums going to High Courts, number of revisions / appeals, frequent adjournments, indiscriminate use of writ jurisdiction, lack of adequate arrangement to monitor, track and bunch cases for hearing. The Chief Justices’ Conference held on 03rd and 04th April 2015 has resolved that each High Court shall establish an Arrears Committee to clear the backlog of cases pending for more than five years. As per information available, Arrears Committees have been set up in the High Courts of (i) Allahabad, (ii) Bombay, (iii) Calcutta, (iv) Chhattisgarh, (v) Delhi, (vi) Himachal Pradesh, (vii) Jammu & Kashmir, (viii) Jharkhand, (ix) Kerala, (x) Madhya Pradesh, (xi) Madras, (xii) Manipur, (xiii) Meghalaya, (xiv) Orissa, (xv) Patna (xvi) Punjab & Haryana, (xvii) Sikkim, (xviii) Tripura, and (xix) Uttrakhand. *Operationalisation of High Court was notified on 23rd March, 2013.